Each computer is set up differently but Jiminny will work with any microphone, speakers or camera that are supported and installed on your operating system. When you join a Web Conference, Jiminny will pre-select whichever audio and video devices are the default on your computer. Check the volume meters move in green in the Microphone/Speaker selectors. 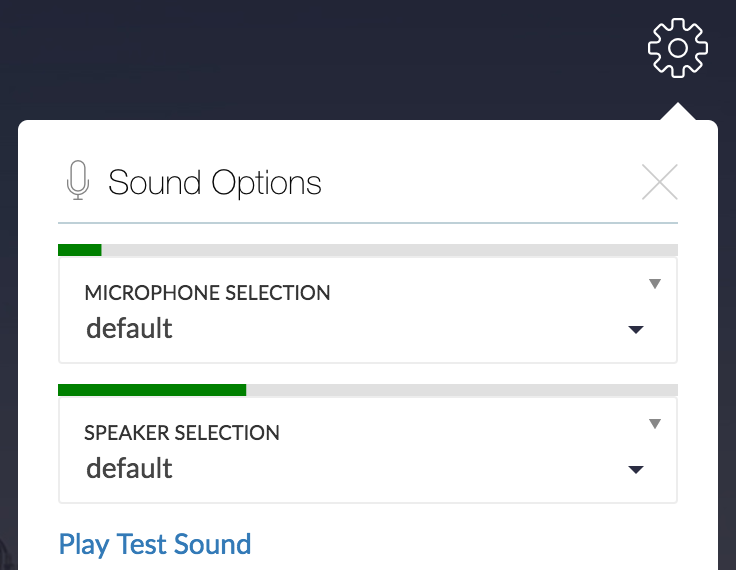 Change the selections to the correct device if you use an external microphone of speaker setup. If all else fails, please restart the Web browser or use a telephone to dial in.